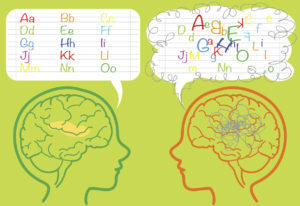 Wordshark has very much been designed to help students with dyslexia. It includes carefully designed games, structured lists, a phonic approach and provides the ‘overlearning’ that is often needed. The program is also excellent for children with other special educational needs including ADHD, ASD, dyspraxia and for catch-up students. Choice of 10,000 words in structured courses including ‘Alpha to Omega’ – it’s easy to find the words that you need: via the courses, or using ‘search’. You can also choose to add your own words, pictures, recordings, translations and descriptions. Phonics – the phonics options and games in Wordshark develop early reading skills and cater for SEN students of all ages. 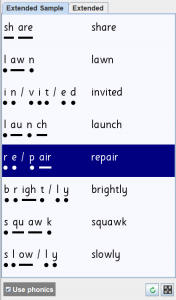 High frequency words – as these words can present difficulties for dyslexic students, Wordshark includes the course ‘High Frequency Words’. Over 60 games provide incentives and rewards – perfect for reluctant learners and those with a short attention span. Highly adaptable – multiple options and settings meet every need – eg slowing down games to allow more thinking time or changing the background colours to make words easier to read. User-friendly and intuitive – busy teachers can grasp the basics quickly. Alphabet and dictionary skills – games help students who struggle with alphabetical order. Underlying skills – the variety of games means students meet the same words in many different contexts. This ‘overlearning’ helps words and concepts stick. Multi-sensory – students use their voice as well as their eyes and ears, and develop their keyboard skills at the same time. 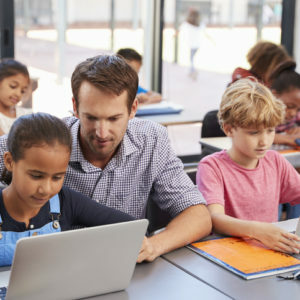 Independent learning – students can enjoy working at a pace and level that suits their learning needs, seeing their own progress and building confidence. Dyspraxia – The games in Wordshark that do not impose a time limit will be easier to play as will turning speeds down. There are other options too that will help dyspraxic learners. ASD and ADHD – To reduce stimuli, you can make the games icons static, and set work so that only a restricted number of lists and games are visible. Headphones can be useful. Visual stress – Some children find it easier to read with a specific background colour. Wordshark allows you to go into ‘settings’ and choose the preferred colour. Children that have spent time out of school – The ‘Wordshark’ word list course is a good overall course to use, and the phonics options can be useful. Headphones – These are recommended, especially for phonic work and when working in a noisy environment. Tick the ‘Use phonics’ box for a phonic approach… a dot is placed under each letter representing a single sound, and a dash under two or more letters which represent a single sound. Within the games, words are built from left to right, sound by sound and grapheme by grapheme, developing segmenting and blending skills. The various games focus on different aspects of these processes. We have been using the various versions of Wordshark within Devon’s SpLD Support Centre for many years, to give our students the essential reinforcement and continuous practice they need to master a wide range of spelling patterns and rules. Each upgrade has led to a better product, with more features. We find our students are always happy to play on Wordshark, and we firmly believe that its games help them to progress with spelling skills. Fantastic resource – of all the resources our deaf children have used, this has been by far the most effective for teaching phonics and spelling. Age range from 5-13 year-olds. I had a boy in my class who couldn’t read at all couldn’t spell his own name. Our SENCO set up a daily program of 10 minutes 1:1 with a LSA and Wordshark and the impact was phenomenal. Over the years I was aware of our SENCO setting up programs for other students and the progress they were making. In 2013 I left the classroom and set up my own tutoring business at home. I bought both Wordshark and Numbershark to use with my students and they were both a massive help. With Wordshark the option of following a program, using your word lists was great for instant support or setting up a scheme of work for a term. With many of my students they would bring their own spelling lists to my class and I used the facility to enter their own word lists to personalise the support. I now use this feature every week with my nearly 6-year-old for her spellings, and as soon as she comes home on a Monday she asks to play the shark game. I really can’t recommend Wordshark and Numbershark highly enough.